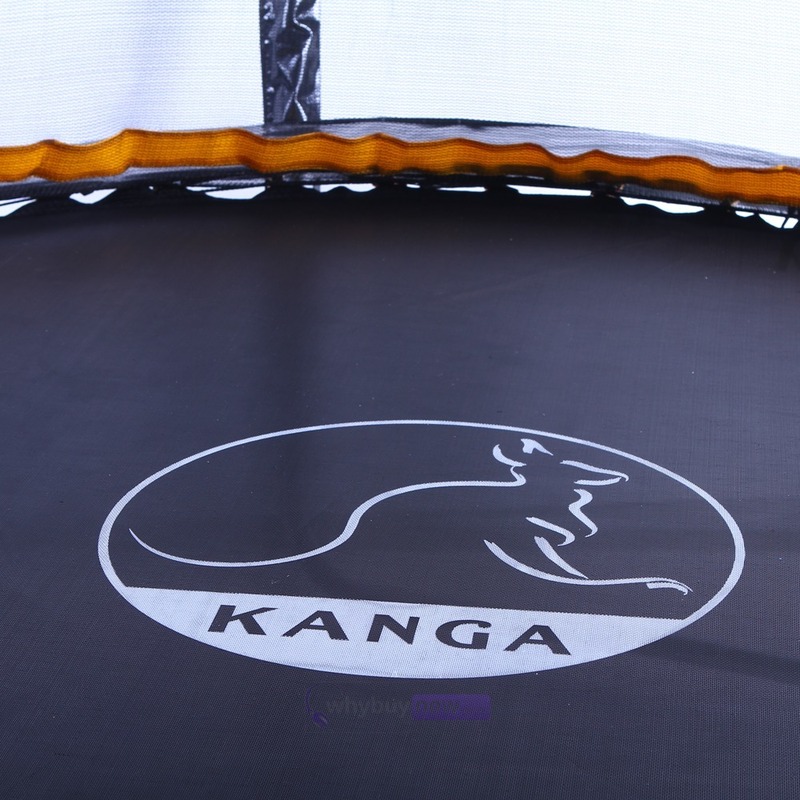 The latest 2017 KANGA GT-8-PACK 8ft Trampoline with Enclosure Package includes the best selling 8ft trampoline as well as a safety net, ladder and anchor kit. 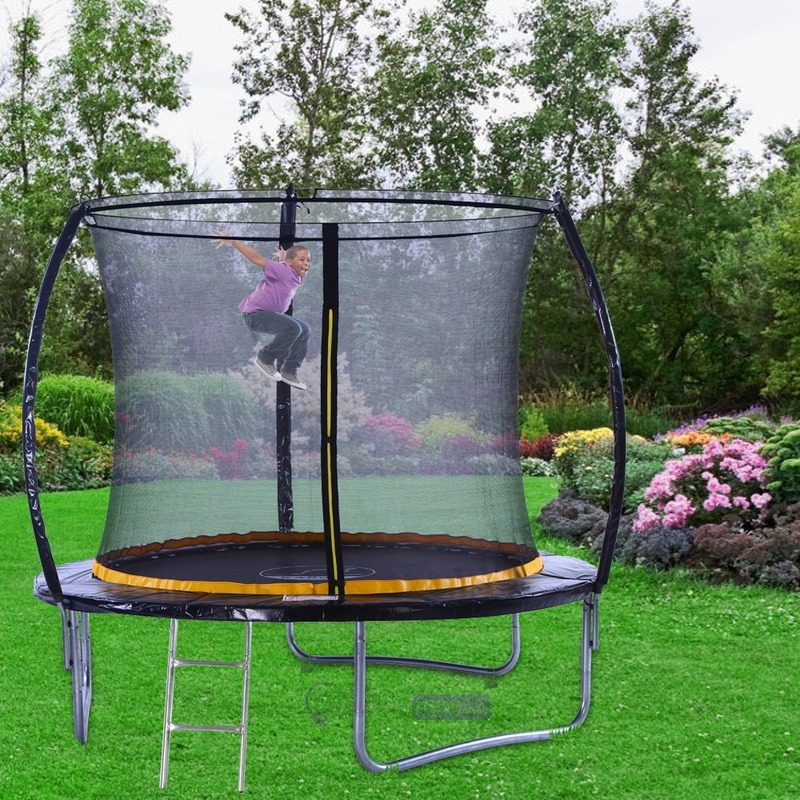 This 8ft trampoline with enclosure fits most small gardens but is still large enough for teenagers through to adults, giving an ample amount of room to bounce on. 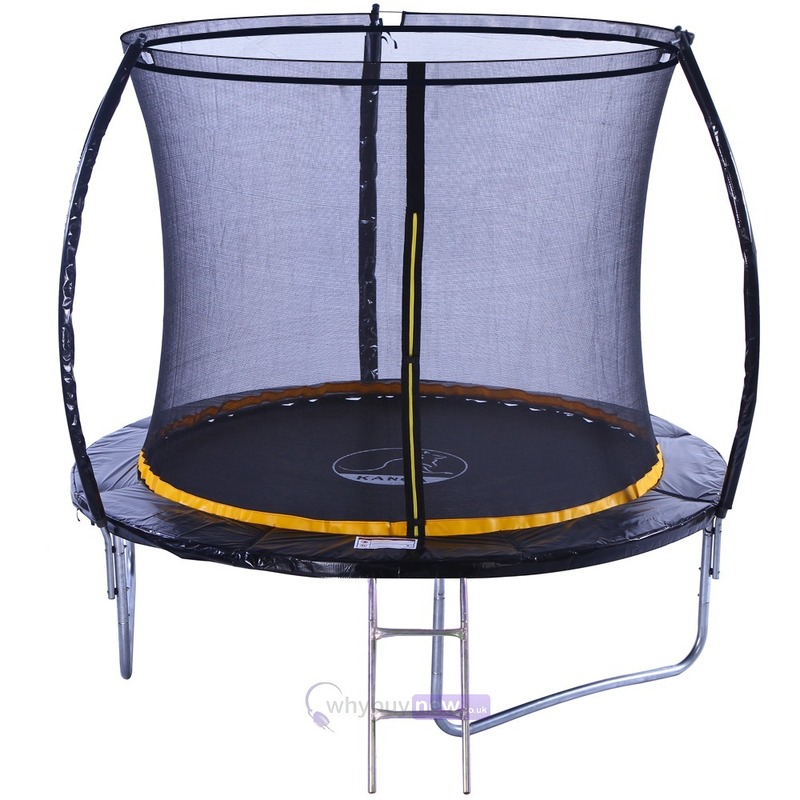 With this 8ft trampoline with enclosure Package not only do you get everything you need to get trampolining quickly and safely, but you will also save £££'s buying altogether in this one great kit! 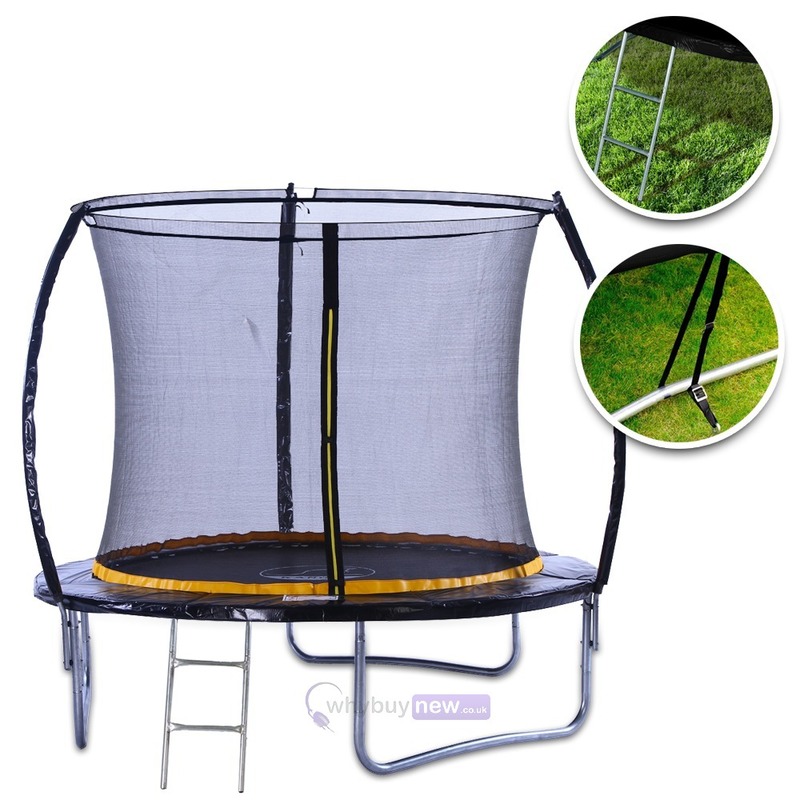 Includes FREE anchor kit and ladder! 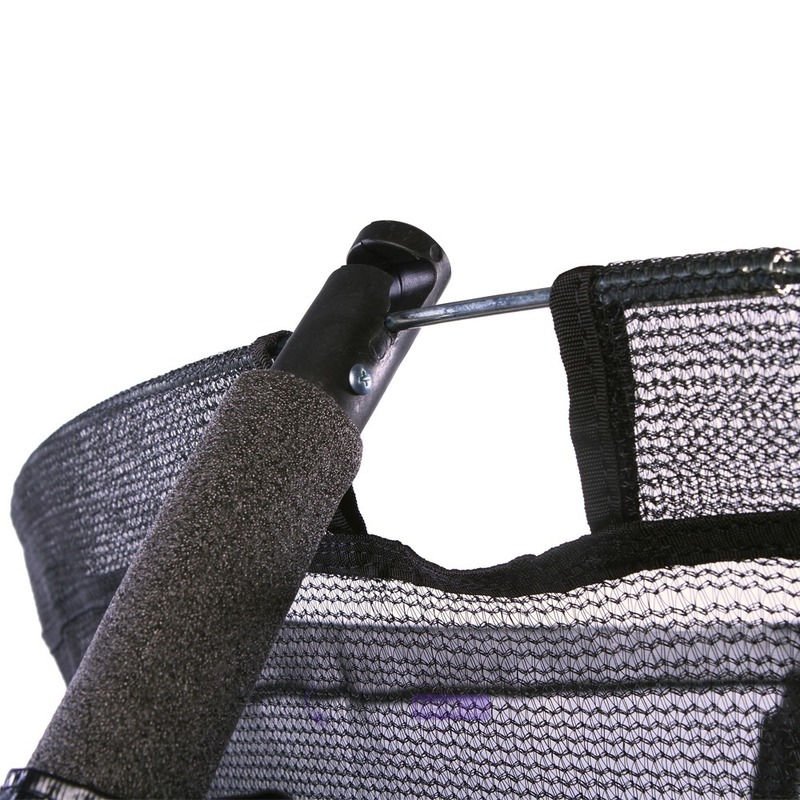 Anchor kit for those windy days! 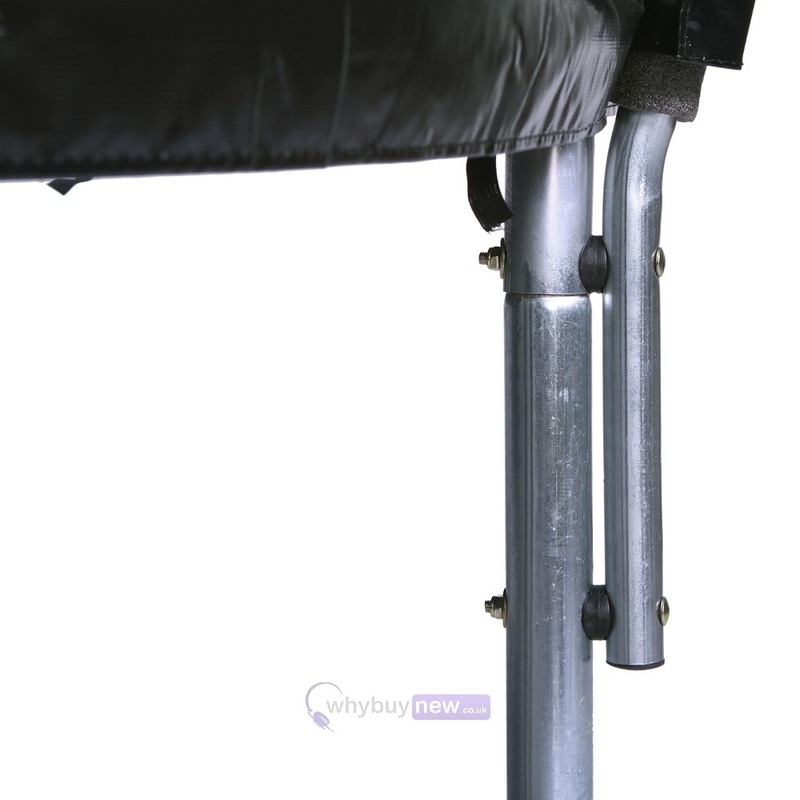 I am very pleased with the superb service of the web-shop and the high quality of the product. Extra thanks´for the swift delivery all the way to Finland. 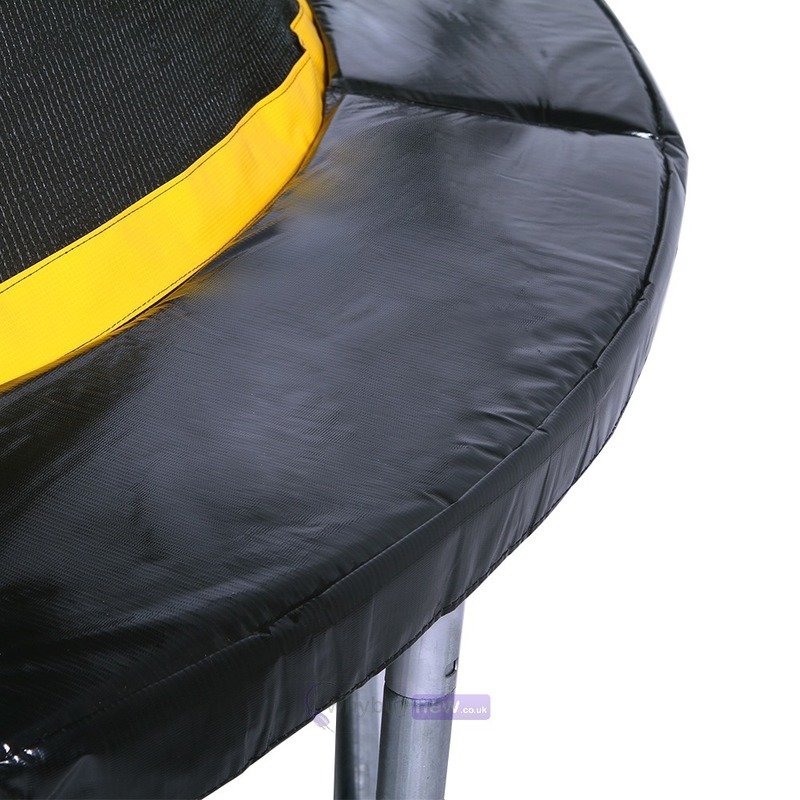 Bought for kids under 10 it's a great product everything it says it is! Looks good easy to put together. 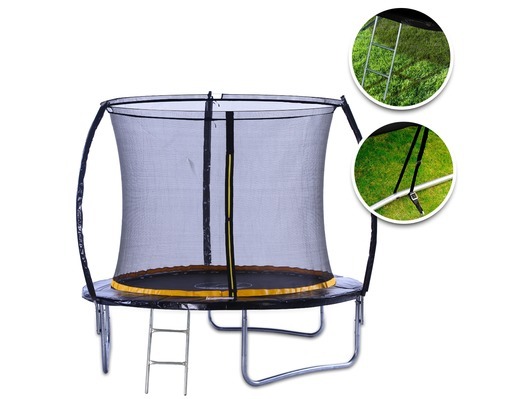 Was good it came with ladder and shoe pocket it's the only full package ive seen. Delivery was prompt and would definatley use the company again. 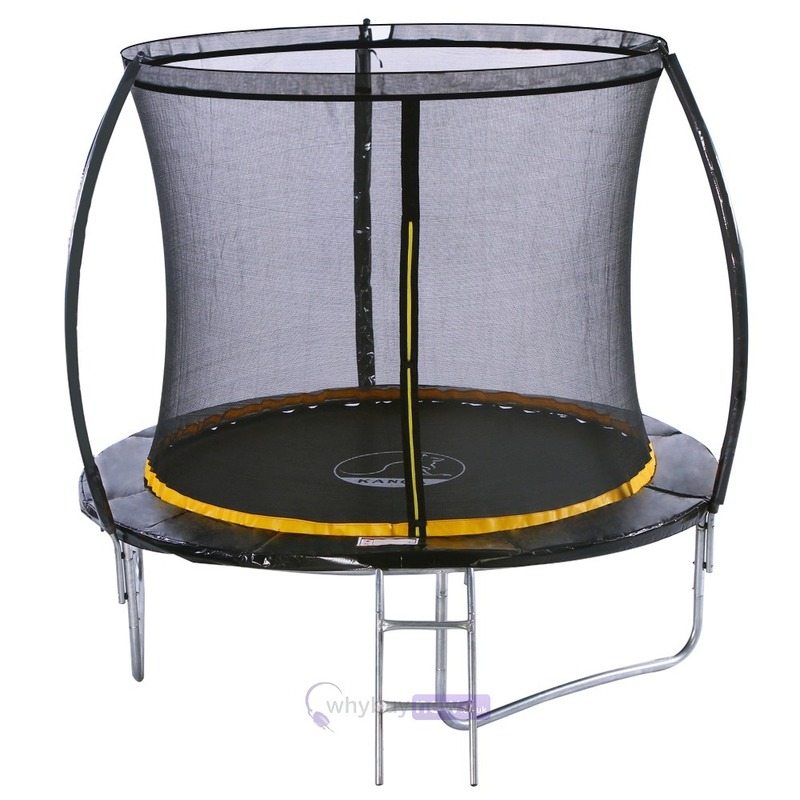 Bought 2 8 ft Trampolines for my grandchildren. Both are really good buys and have all the necessary requirements for safe play. The addition of the ladder and shoe tidy simply round off the buy. Thank you and will shop with you again.